Marie Curie is the leading UK charity for people living with terminal illness, their loved ones, their supporters and volunteers. Marie Curie runs 9 hospices in the UK and has a network of volunteers and helpers throughout the country. 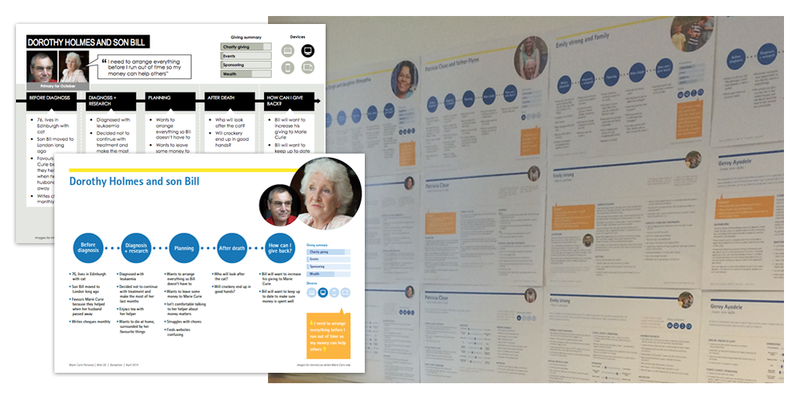 In 2014 Marie Curie started their website re-design with some up-front research, followed by user-centric iterative Agile UX design and development. 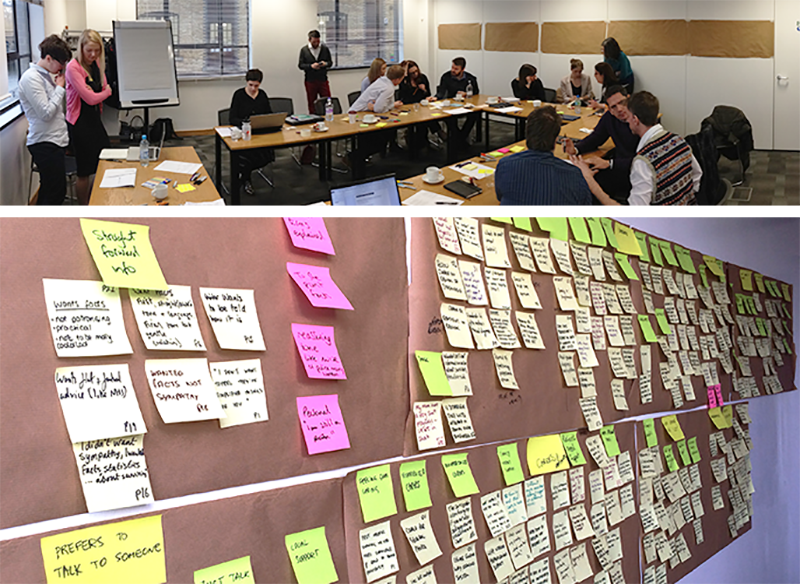 Bunnyfoot’s mental models and personas were key to understanding people’s information and emotional needs, which helped shape the new website and the new online and phone support service. Our Agile UX and design work helped ensure that the site structure and menus worked well and site content was based on users’ needs. 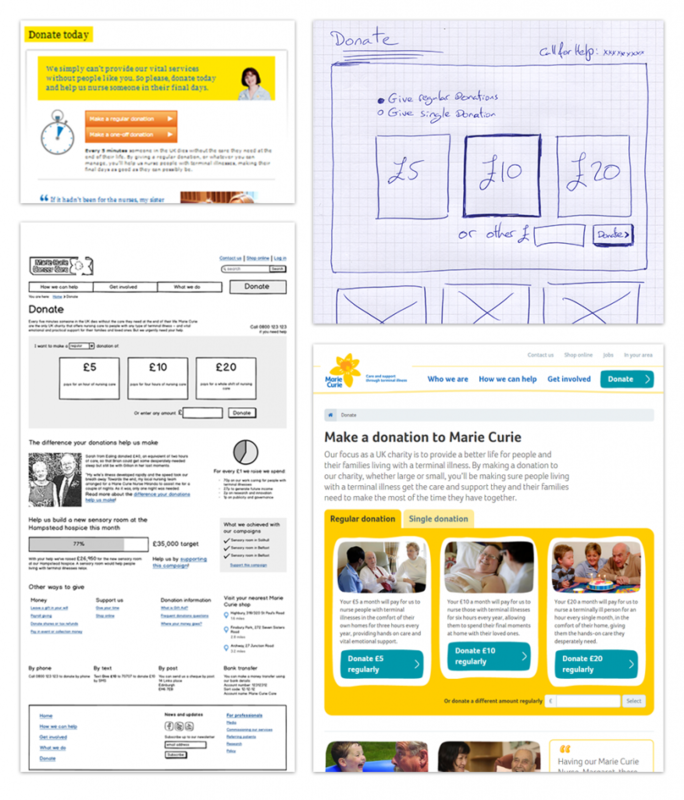 Working iteratively we also made sure that key customer journeys, such as donate, were not just usable but also persuasive. Working at a fast pace, Bunnyfoot delivered high-quality UX insights and wireframes to fit into our agile development process. The Marie Curie team were incredibly pleased with the quality, timeliness and content of everything they produced. The site was developed following extensive user research, and features a new, streamlined navigation that reflects the way people choose to access information, as well as more intuitive functions that enable users to quickly access the right data. We’ve already seen a number of encouraging results including increased dwell times and engagement levels, as well as improved mobile conversions on key funnels.